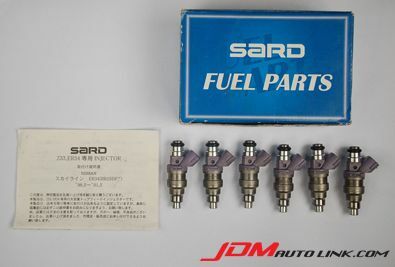 We have a set of pre-owned Sard 800cc injectors (6 pcs) for the Nissan Skyline R34 GTT (ER34) and Nissan 350Z Fairlady (Z33). These are plug and play into the stock fuel rail and offers additional fueling needs of boosted up engines. 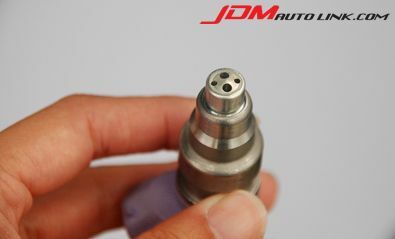 Besides the ER34 and Z33, it will also be compatible with CPV35, C35, WGC34 and WGNC34.